UNTH To Dispose 450 Corpses Abandoned In The Hospital since 2010 . 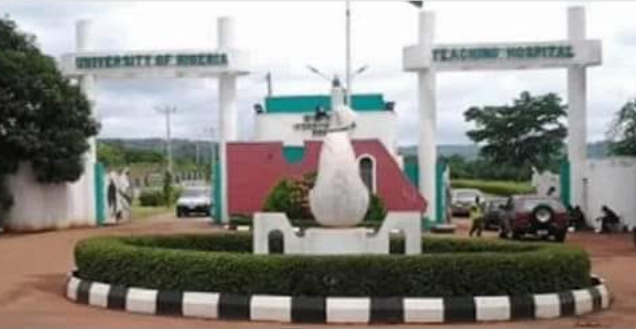 The University of Nigeria Teaching Hospital UNTH is calling on those who have relations among the dead to come and collect the bodies free of charge as the hospital has decided to dispose about 450 corpses abandoned in the hospital since 2010 . Chief Medical Director , Dr. Christopher Amah , said that most of the corpses were dumped by operatives of the Enugu State Police Command , while a few of them were those that died in the hospital but because of some unknown reasons , their relations did not ask for the bodies . Amah called on those who have relations among the dead persons to come and collect the bodies free of charge . He said : “ These corpses have been in the hospital since 2010, occupying the space . “Most of them are suspected robbers that Police shot dead and later dumped in the hospital . “We have published the notice in the media , after which we have commenced the process of disposing the bodies through mass burial. “We went to court and got the permit . One of the conditions was that we must advertise the intention so that affected persons could come and claim their relation ’s body.